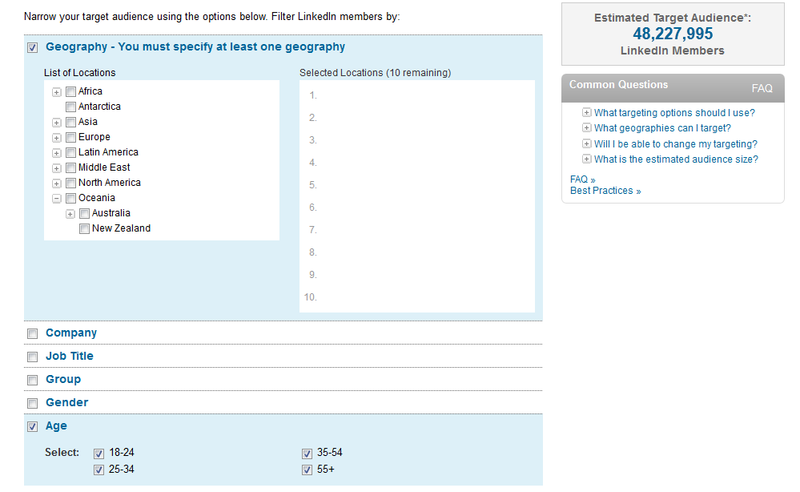 Like Facebook, LinkedIn offers advertisers a lot of choices for selecting the perfect audience. Advertising can be targeted by general demographic information to job titles, groups and even the company the potential audience is employed by. Sometimes with so much choice, choosing which tools not to use can be as important as selecting those that you do. 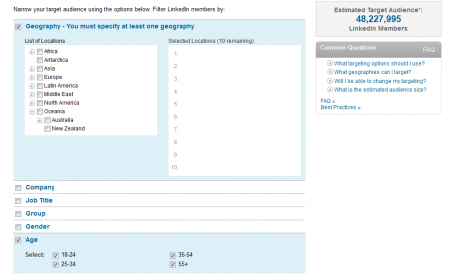 You can read the full version of Getting your LinkedIn Audience Right over at Search Engine People now. Advertising on LinkedIn has more in common with advertising on Facebook than AdWords. Like Facebook, LinkedIn allows its advertisers to target ads based on demographic and personal information, and not current activity such as search. AdWords is more about the task the user is currently engaged in, with a few other variables available to limit reach and limit the ads to a more potentially productive audience.